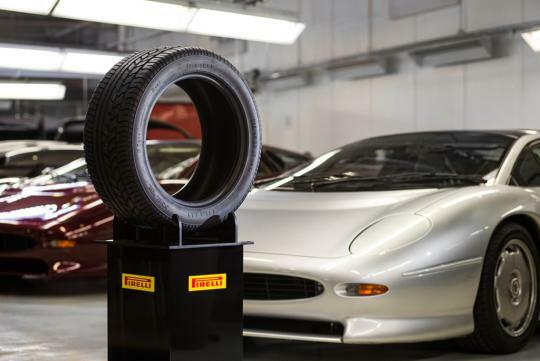 Following Bridgestone which recently announced that they will be developing new tyres for the Jaguar XJ220, Pirelli is set to do the same. As one of the fastest production car back in the early nineties according to the Guinness Book of Records, the XJ220 supercar was able to go past 340km/h when fully stretched out. To allow owners to fully exploit their vehicle's performance, Jaguar claims that the new P Zero tires will be bespoke to the XJ220 and will combine the original classic looks of period-correct P Zero tires with modern technologies. It also added that the internal structure of each tire will be custom made deliver the best balance between grip, durability and wet weather performance thanks to the asymmetric tread pattern. It the tire companies have any conscious, they should spend more on R&D to develop tires that will "force" car owners with mass tires to change when they reached being dangerous eg almost or near balding of tires / damaged side.